She was the only thing that kept him sane. 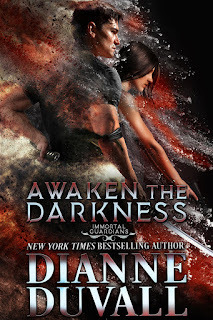 Awaken the Darkness is the latest mesmerizing installment in Dianne Duvall’s fabulous Immortal Guardians series. This series is earth-shattering awesome and Dianne has quickly become one of my favorite authors. Each of the stories – and I’m still catching up – has been heart-stopping, intense, humorous and powerfully romantic. If you are a newbie to Dianne’s Immortal Guardians, don't worry about reading the series out-of-order. Each novel and novella can be read as a stand-alone and has a self-contained romance, so you won't be lost if you dive in with any of the books. You'll just know more about the supporting characters if you do read the books in order. If you read the previous book, Blade of Darkness, you have, no doubt, been worried about Stanislov’s fate as he went missing after the epic battle with the mercenaries. One immortal died - a devastating loss to the team – but Stan’s disappearance seemed even more cruel as it was not clear what had happened to him. As a rule, the team never leaves anyone behind. Was he captured? Did he join his best friend in the hereafter? Sadly, Seth hasn’t even been able to pick up Stan’s essence with his transcendent senses - though not from a lack of trying. Still, none of the team has given up on Stan. Thankfully, Awaken the Darkness answers the question as to Stan’s fate. Indeed, he is still with us. Regrettably, his suffering has been constant and horrific and has dragged on for an incomprehensible two-and-a-half years. His savior is Susan Meyer, an author and an innocent-to-the-Immortal-Guardians’-world gifted one. She is a telepath who hears Stan’s voice – and, thankfully, responds. When Stan is rescued, he has amnesia. He doesn’t know his name, what he is or who is friend or foe. He only knows that he will protect Susan with every special ability that he has. His tale of recovery is heart-breaking, heart-warming and fraught with danger. Susan understands being different as her psychic abilities have always set her apart. She knows she should be afraid of this man with glowing eyes, but she also feels in her heart that she cannot abandon him. The two are strongly attracted to each other, but Stan is so honorable that he won’t enter a relationship with Susan without knowing that he doesn’t have a wife out there somewhere who he would then be unfaithful to. I connected with Stan and Susan from the first. They were each strong and compelling characters and their stories – past and present - will tug at your heart strings. I loved how accepting Susan was of nonconformity and how Stan knew as soon as he detected her presence that she was a friend. Even though their connection was immediate, it felt natural and not rushed in the least. Their romance was sweet and hot and I couldn’t get enough of them together. Susan’s dog, Jax, was a wonderful addition. He was a pistol, full of energy and personality and I hope he makes some return appearances in later books. “No,” she stated firmly. Before she could change her mind, she crossed to the bed, slipped beneath the covers, then looked at him expectantly. “Where is Jax?” he asked, unmoving. Awaken the Darkness grabbed my attention from the beginning and never let go. It’s fast-paced, action-packed and, even though parts of it are hard to read with Stan’s torment, there’s also an abundance of comic relief that serves to keep the story light and entertaining. I inhaled every word staying up way past my bedtime on a work night to finish it! 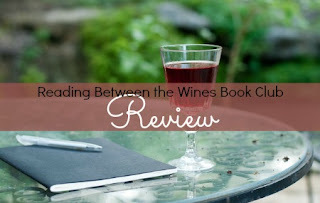 Dianne’s characters are believable and her story-telling is flawless. If you enjoy paranormal urban fantasy romances and haven’t checked out Dianne’s Immortal Guardians, you are missing out on an exceptional series! Awaken the Darkness was a gripping addition to the Immortal Guardians series that moved me beyond measure. The story itself is quite different from previous books as it centers strictly around the main couple Stanislav and Susan for 99.9% of the story-line, as opposed to having the rest of the immortal guardian family popping in every so often to help support the plot. I believe this is because this story was originally intended to be a novella, but outgrew it. This didn't diminish the story at all in my opinion as many paranormal romances are written similarly, the ending definitely made any slight deficit worth it. The series arc itself didn't move forward, but the author promises to make up for that with the next book, which just happens to be the immortal's leader, Seth. I'm on pins and needles waiting for that release. I loved Stanislav and Susan together, they fit perfectly and their chemistry was palpable from the pages. Stanislav story was heart-breaking at times, but witty dialogue and sizzling passion rounded it out nicely. This entire series is a recommended read for any and all paranormal romance fans. Sounds like another awesome book. Can’t wait! !